If you have ever completed an oil burner cleaning before, you know how much buildup can develop on the inside. Better yet, if you have never cleaned a burner, then the title of this post would not likely appeal to you! So we are assuming that you have never cleaned a burner (especially after 5 years). 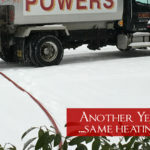 Hands down, the most prominent reason to clean your burner is to get the most BTUs out of your heating oil. 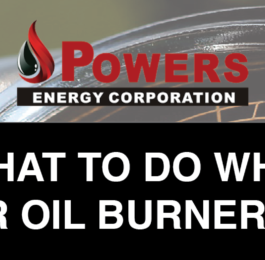 When a burner is over loaded with soot buildup, your burner doesn’t burn oil as well and therefore decreases the burn efficiency and can constrict the flow of warm air into your home. If you have soot buildup, you are paying money for oil that isn’t being transferred into actual heat for your family. Another possible factor in efficiency is how clean your oil lines are within the unit. If you oil is not flowing well, then you could have sludge in the lines. If this is the case, your burner may not be burning as hot and you may be loosing heat. 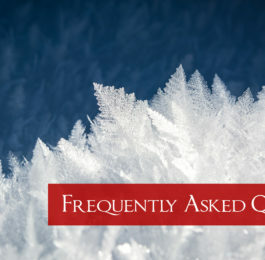 This could also cause an unexpected outage in the dead of winter. Oil burners can go for long periods of time with out needing repairs, but getting this type of mileage requires a little TLC (tender love and care, AKA cleanings). 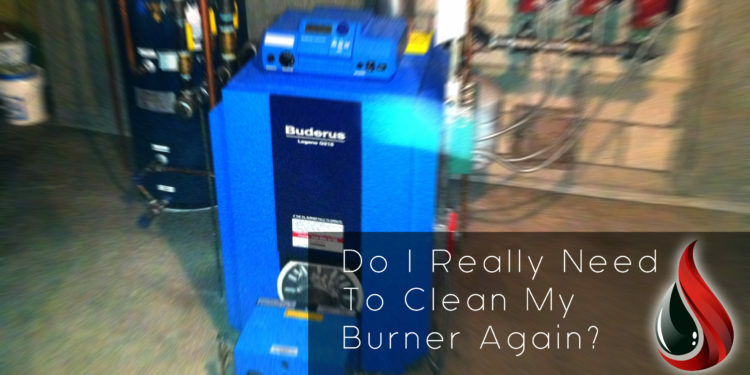 If you have soot buildup, then your burner is likely operating too hot. 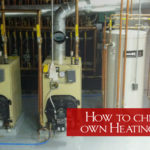 This can cause damage to the components by over heating them or causing them to work harder, just for the same amount of heat. Things like changing the filter can play a big role in burner longevity and efficiency. If you clean your oil burner every five years, then it will take longer and cost more. However, if you are having us clean it every year, then we can usually be in and out in less than an hour. On the YouTube page for that video, the guy wrote that it took him hours to clean this and for a burner that has not been cleaned in 5 years, that is understandable. At the end of the day, oil burner cleaning is simple routine maintenance that saves you money, headache, and may possibly keep you from a breakdown. If you have any questions about burner maintenance or our services, feel free to call and our staff can answer any questions you have!